I needed a pair of Snapchat Spectacles. 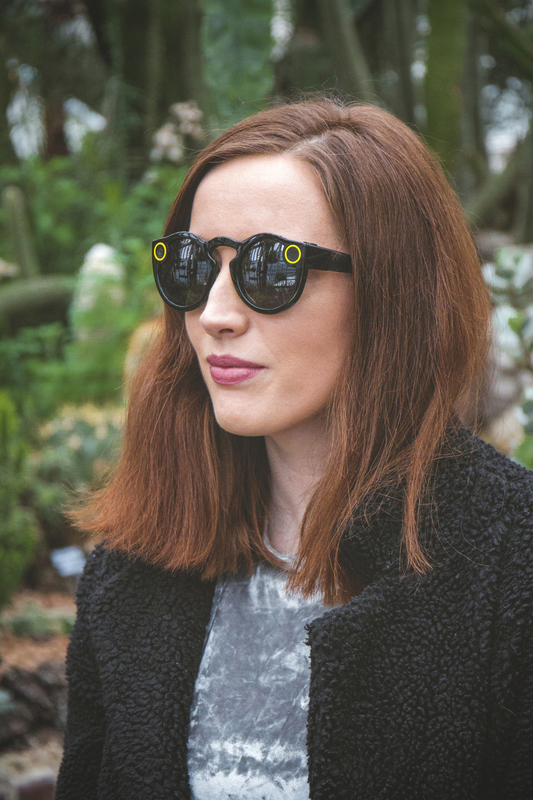 When they first launched toward the end of 2016 Snapchat Spectacles quickly became the hot new tech tool every social media fan wanted. 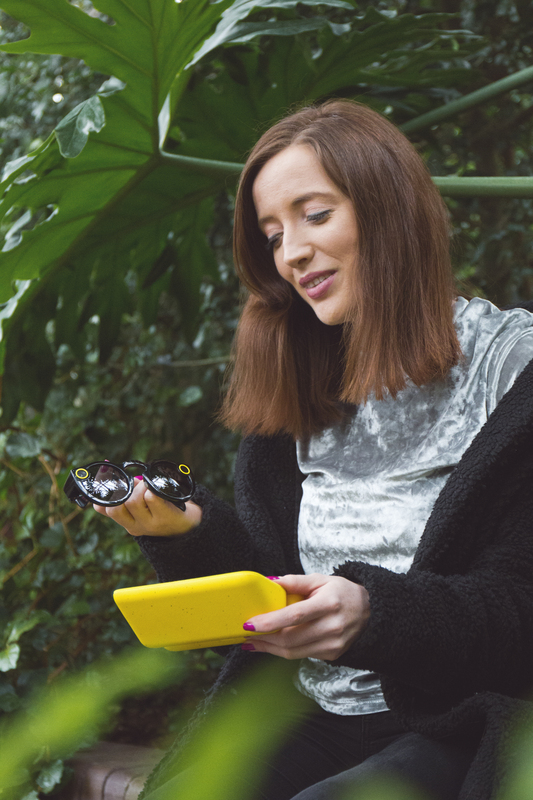 I have been using them for a few months now on my Snapchat Bec_Boop so thought it was time to put together my review of Snapchat Spectacles, answer your questions about them and also share some tips about how I use the glasses to create social media content. I’m also really excited about using them more and more during the Summer months when shades in London become a reality. As part of their marketing strategy Snap made them pretty hard to come by, so you were lucky to get your hands on one. 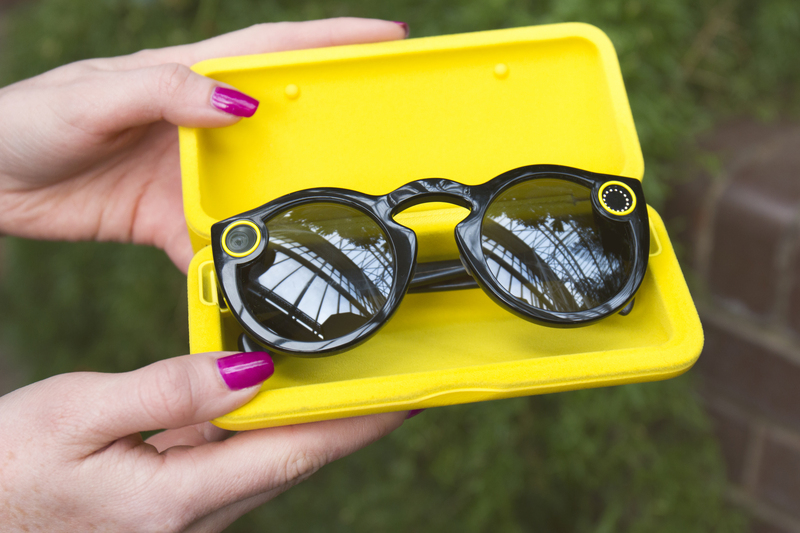 First they were only available via randomly located Snapbot vending machines until eventually a pop-up store opened in New York City again selling Spectacles via the Snapbots. 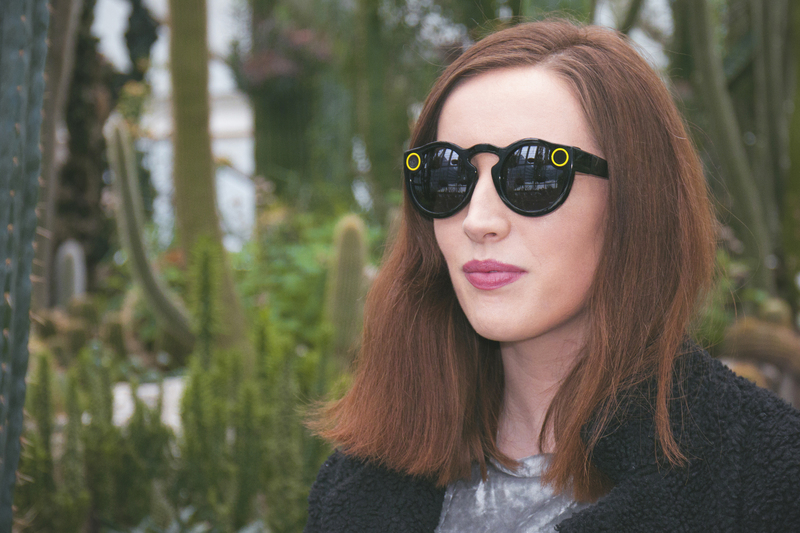 How do Snapchat Spectacles work? Snapchat Spectacles are actually so easy to use! They charge via a usb cable and can even be charged while in the case which is pretty cool. 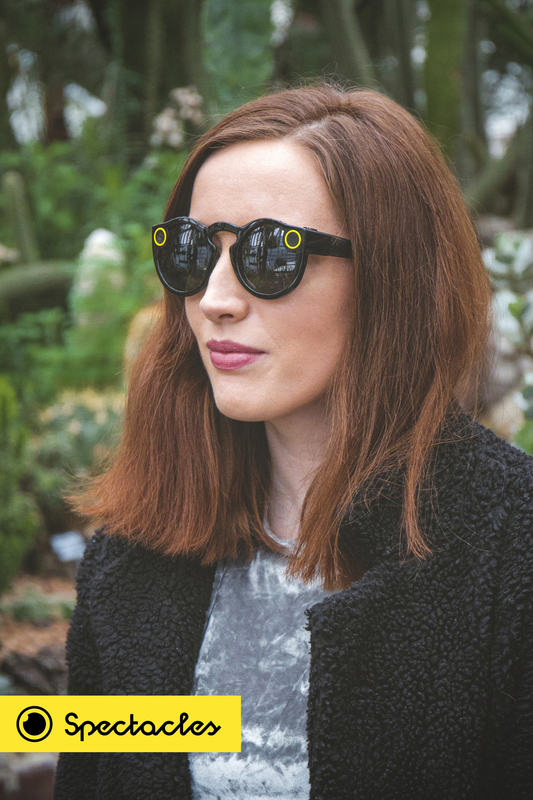 Once charged up for the first time you need to pair the Spectacles with your phone under settings on your Snapchat account. Then you simply press the shutter button on the top left of the Spectacles to take a 10 second video clip. I love that the video clip is from your viewpoint and a ring light glows while the Spectacles are recording. You can see it flash inside the glasses when the recording is finished. To take multiple recordings you can press the shutter button twice or three times after it starts recording, although these will save as separate ten second clips in your Snapchat memories. Honestly, I think it sounds more complicated than it actually is and I find them pretty foolproof. Your Spectacles will pair with your phone under memories when connected via bluetooth. From there you can upload to your Snapchat story or download for use elsewhere. The snaps import in low resolution so you just need to follow the ‘Get HD’ steps to save and download in better quality. I mostly experimented with using Snapchat Spectacles during my travel earlier this year in Florida and India. I create daily stories over on my Snapchat channel (add me Bec_Boop), I was also in pretty sunny locations so it was easy to wear the Spectacles and use them to create content. I used them to add a more interactive element to my snapchat story by encouraging viewers to tilt their phones and see the full circular image. I also wore them on some rides in the theme park and used them to take live videos of the experience. 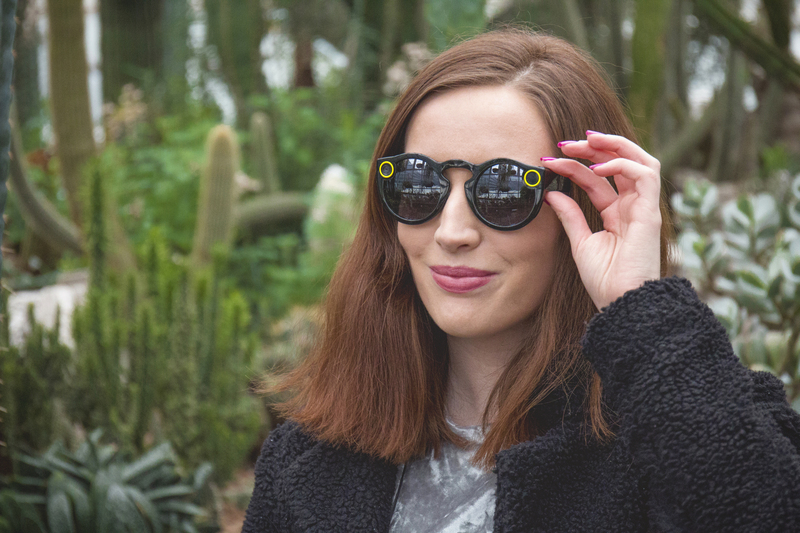 The fun thing about Snapchat Spectacles is that while you will primarily use them to upload round videos to your snapchat story, you can also save the videos down and upload them elsewhere such as twitter, instagram or facebook. Here are some of my favourite posts which I created using my Snapchat Spectacles. This went down when I met Mickey Mouse at @WaltDisneyWorld today! I would love to hear from you in the comments below. 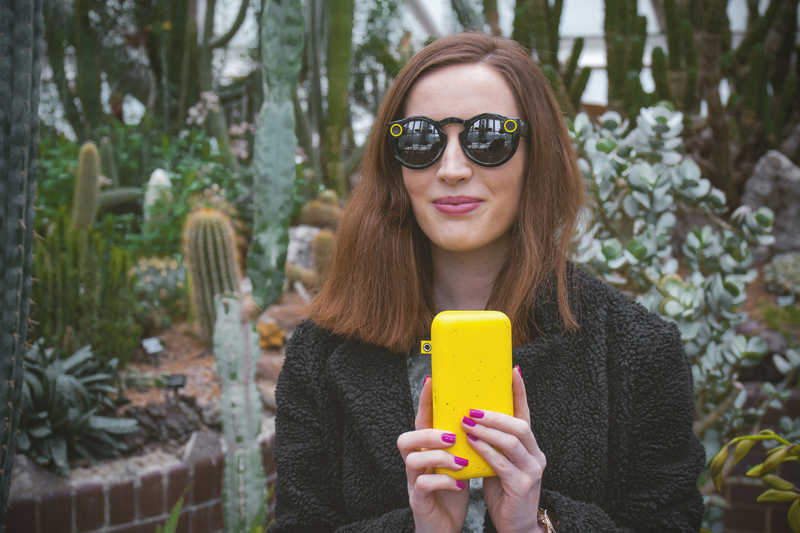 Are you tempted to get a pair of Snapchat Spectacles? Ahhh, I have them as well!! 🙂 Loved this post!! I have a friend living over in California (I’m based in the UK), and she send me the glasses…. I love the 3d-ish view and how easy it is to use…. it’s seamless & it opens up such new storytelling possibiliites. I feel like they are screaming “Welcome to my consciousness”… Have added you on there right now, my name is finjkem…. See you there maybe.